David Henrie gets arrested for taking a gun to the LAX airport. On the 10th of September 2018, former Disney star David Henrie had a humiliating delay at the LAX airport. David brought a 9mm pistol through LAX airport. He said that it was "accidental". The gun was said to be legal but David did not have a permit to carry the gun around. He reportedly got taken to the police station to get booked. Later that same day, David took to Twitter to apologise for his mistakes and thanked everyone who was involved. He stated that he takes "responsibility for the situation at LAX today." He also claimed that he "unintentionally brought my legally owned gun which is registered in my name to the airport." 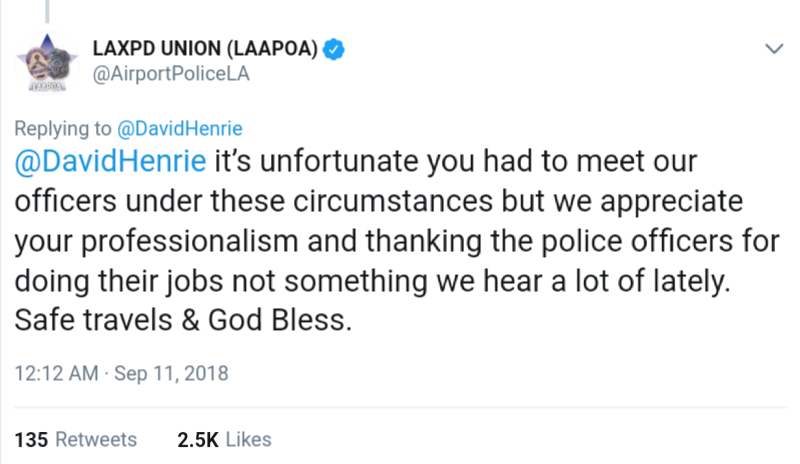 The LAXPD then later replied in a Tweet thanking David for his corporation and professionalism. Hopefully, David learns from his mistakes and doesn't do this again!